Obesity is considered as one of the biggest health concerns these days. With more and more people getting obese, the number of cases of fatal diseases is also going significantly up around the world. If you are also one of those, who are struggling to shed off extra pounds by dieting and exercising hard but are somehow unable to do so, bariatric surgery may be the best choice for you. Bariatric surgery, popularly known as weight loss surgery, is a safe and secure method of treatment for people affected by severe obesity. In this procedure, the body weight of the patient is reduced dramatically by decreasing the volume of the stomach with the help of a gastric band, eliminating a certain section of the stomach, or resecting the small intestine and redirecting it to a small pocket created in the stomach. 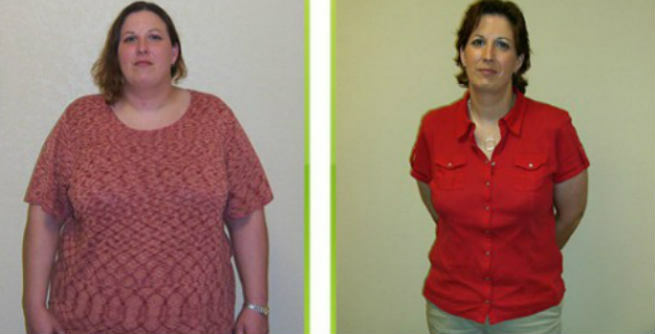 Being an effective method with long-lasting results, it acts as a lifesaver for obese people. Controlling the eating habit of the patient by limiting the food holding capacity of the stomach at a certain time. Regulating the assimilation capacity of the digestive system of the patient so that she cannot absorb all nutrients from what she consumes. Using an advanced technique that combines both of the aforementioned practices. An obese adult, who have long been suffering from various weight-related medical conditions and who is absolutely ready to make adjustments with her food habits as well as lifestyle in order to keep extra weight away, can opt for this surgical procedure. She should also have a minimum Body Mass Index (BMI) of 35. Your body profile will change drastically as you will be able to lose as much as 61% of your excess body weight in the best scenario. You will either get rid of a number of lethal weight-related diseases completely or be able to cope with them efficiently. You will have to change your food habits as it will be tough for your body to handle certain nutrients like vitamin D, vitamin B12, calcium, iron, folate, etc. You will also have to maintain a healthy lifestyle and work out regularly. You will get discharged from the hospital after 2 to 3 days of the surgery. However, stay away from your day-to-day activities at least for 3 to 5 weeks in order to enjoy the final results without experiencing any complication. Several common side effects and major to minor complications that are associated with bariatric surgery include pain, discomfort, nausea, bloating, vomiting, dizziness, weakness, faintness, vitamin deficiency, diarrhea, infection, loose skin, excessive gas, extreme sweating, bleeding ulcer, leakage, abdominal hernia, pulmonary embolism, gallstone, heart attack, dumping syndrome, etc. Offers dramatic results, which last long. Wards off deadly diseases like type-2 diabetes, arthritis, hypertension, obstructive sleep apnea, cardiac disease, high cholesterol, etc. In general, the cost of a bariatric surgery ranges between $17,000 and $35,000. However, it may vary widely depending upon the requirements of patients, their levels of fitness and the types of surgery.